NEED SOME HELP WITH YOUR ORDER? Want a Custom Color to match your boat... WE CAN! Any motorized boat in the United States must contain boat registration numbers on the hull of the boat. You will find that this information can vary slightly by state. In short most states require that the registration letters be no less than 3 inches tall and in block lettering. This will ensure compliance with local laws. All of our lettering orders come pre-spaced with application tape meaning you don’t have to worry about applying each registration letter individually. 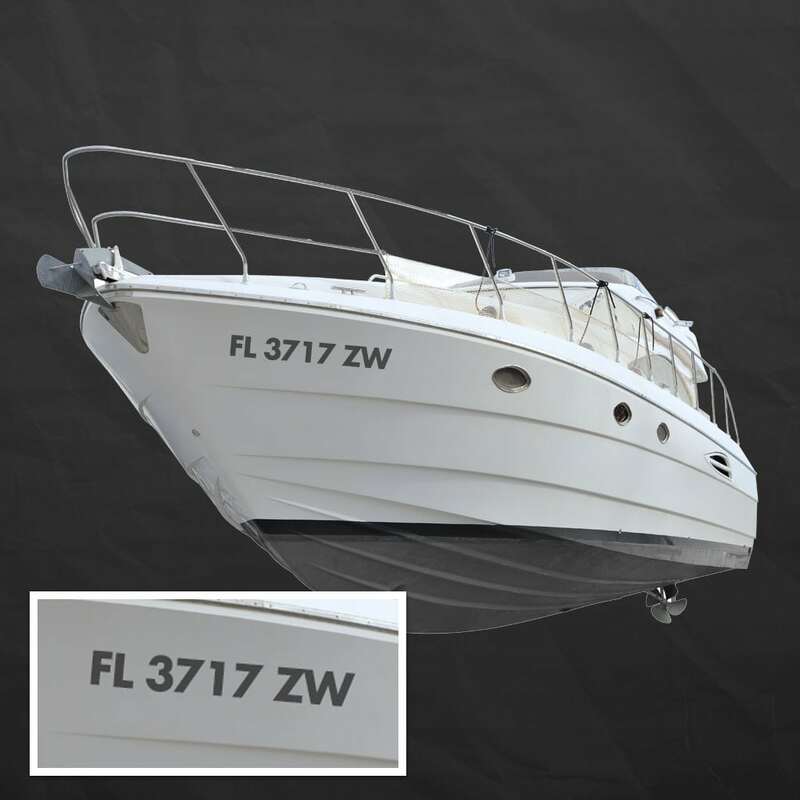 The application tape covers the entire set of lettering like a big piece of masking tape allowing you to place it directly on your boat in one step. Use our free printing templates for a more streamlined process. The template file is a blank file which is already setup per our print specs ie (bleeds, margins, and cut lines) for an accurate print every time. You may use but not limited to the following with our templates. Adobe Photoshop, Adobe Illustrator & Adobe Acrobat Formats. See the following for a list of current templates.